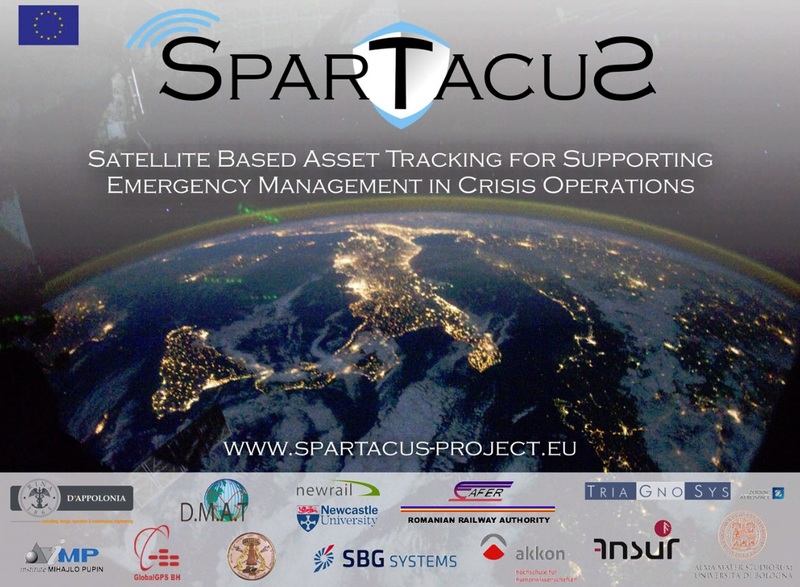 The SPARTACUS project aims to develop and implement solutions for the safe monitoring of relief supplies and the coordination of operations. In addition to customizing and improving hardware applications, tracking algorithms have been refined many times over, and receiver stations have been developed that are well-suited for disaster response due to their low power consumption and the possibility of pairing with satellites. In a few days the kick-off meeting will find a new one FP7 Security project in (Milano Italian State). FP7 (7th Framework Program for Research and Technological Development) is the European funding for Research Program and Development in Europe, in the years of 2007 including 2013. The interesting project SPARTACUS involves five European universities as well as seven organizations and companies from Italy, Romania, Serbia, Austria, Norway, Germany, Bosnia-Herzegovina and Switzerland. 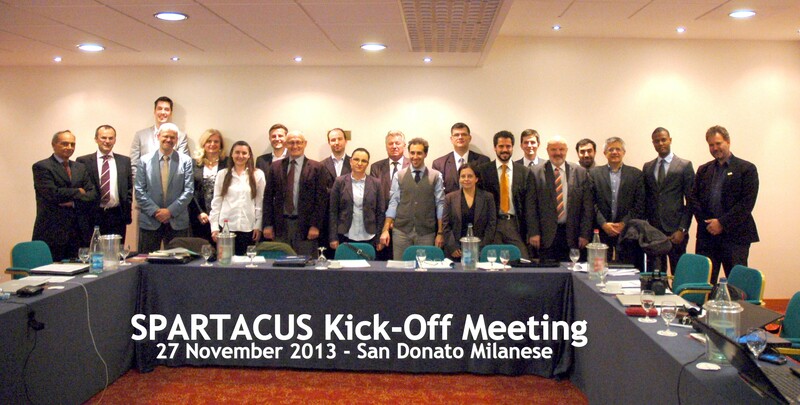 On 27.11.2013 the kick-off meeting of the SPARTACUS took place in Milano. The third meeting of the SPARTACUS project took place in Oslo, in the premises of the project partner ANSUR occurred. After the monstrous Fluten in Bosnien und Herzegowina Mid-May 2014 by the Balkantief „Yvette“ The project partner Global GPS organized a workshop in Sarajevo on disaster management and the use of new technologies. More than 50 persons from the civil protection area of Bosnia and Herzegovina participated in this workshop on 19 and 20 June 2014. 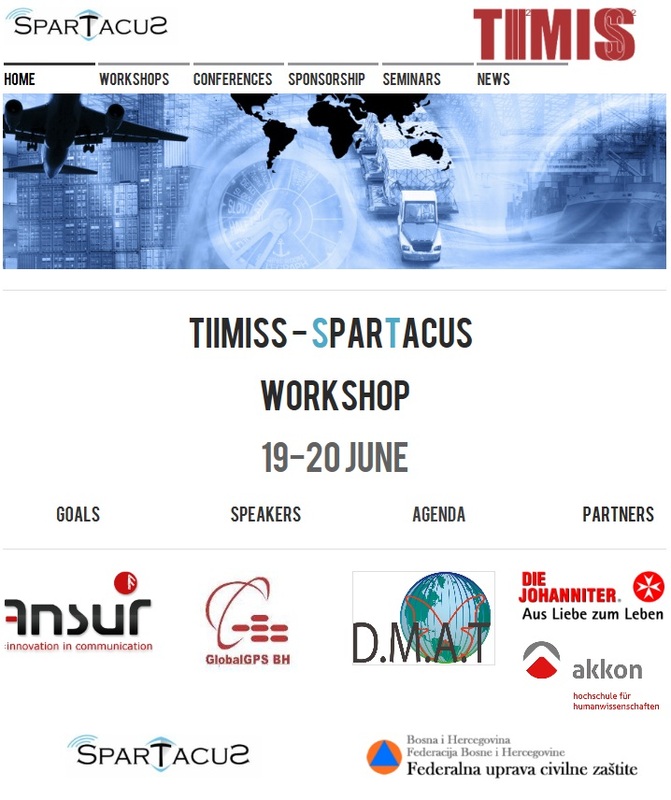 The SPARTACUS project technologies developed in the ASIGN PER, Web Mapping and TIIMIS were presented and demonstrated during this workshop. 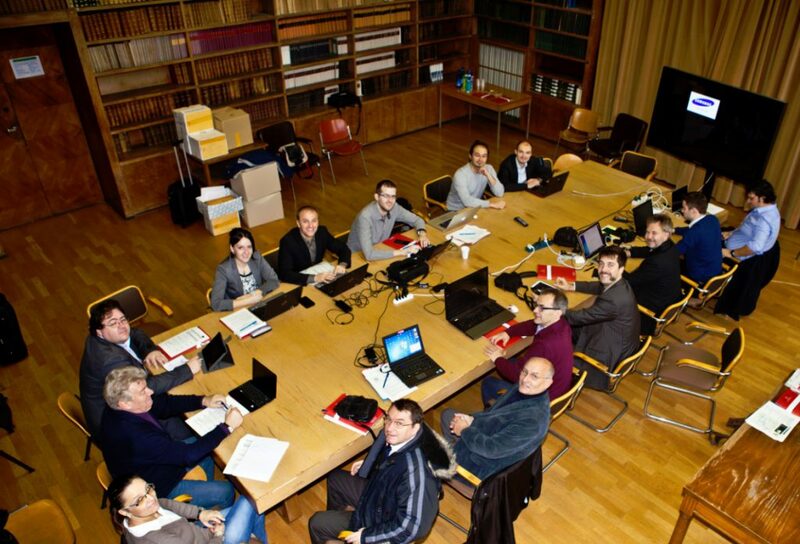 On November 27 and 28 the first Annual general meeting of SPARTACUS project took place at Bologna University. On January 30, 2015, the first audit meeting was held in the SPARTACUS project in Brussels. In addition to the partners, the project evaluators and the EU project officer came to this meeting to give their feedback on the project so far. 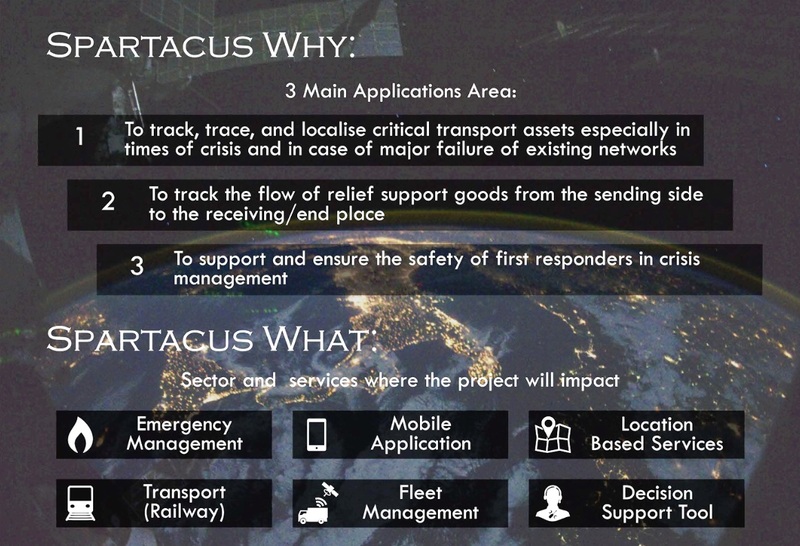 Flyer for the project SPARTACUS – satellite based tracking of relief supplies to support crisis and disaster relief operations. Three areas of application for Spartacus technologies, as well as sectors supported by them. 1. Monitoring, traceability and localization of critical goods for crisis and disaster times and in the absence of communication options and networks. 2. Control the process of delivery of relief supplies from shipment to receipt at the required location. 3. To support and ensure the safety of first responders in crisis management. The Bulgarian Urbane rescue and mountain team, a partner of the SPARATCUS project, trained today, 06.06.2016, in Montana, Bulgaria. For today’s training, newly developed communication and exploration technologies have been discontinued FP7 project used. Training of the Bulgarian Urbane Rescue and Mountains Team and other partners of SPARTACUS. At the end of September, the final tests of the technologies developed in the SPARTACUS project took place in the test center in Faurei. The solutions developed for satellite-based support for emergency services and the tracking of relief transports were tested / tested and the results obtained forwarded to the Operations Center. The test run brought very good results. At the team leader meeting of INSARAG, the International Search and Rescue Advisory Group, in Tokyo, D.M.A.T. Consulting KG participants. 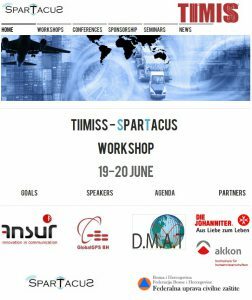 Prof. Dr. Alois Hirschmugl presented the solutions for logistics in humanitarian missions developed in the SPARTACUS project to a global audience of 151 participants from over 40 countries. The presented results attrackted lots of great interest from the audience. At the end of 2016, this was FP7 Security project SPARTACUS completed. Here you can find the final report of the project.